Patsy's plans to study for a degree in archaeology are thwarted as the outbreak of World War 2 maroons her in Palestine, the land of her childhood. When Rommel's army is poised to invade Palestine, she joins a British-organised network of Palestinian Jews set up to defy the Germans should they succeed in invading the counry she loves. In the course of her duties she meets up with Tim her old puppy love boyfriend but fights falling in love with him simce marriage would interfere with her post-war plans. When, however, Tim is reported missing, presumed dead,in the Western Desert, she realises how much he means to her and in the hope of finding him connives to join an SOE (Special Operations Executive)project that takes her to Italy and eventually, back to Palestine. 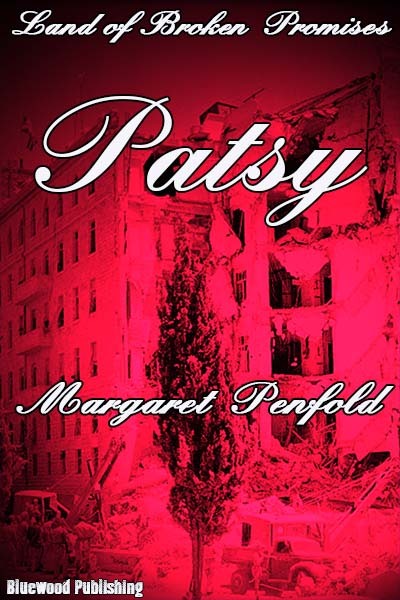 Through Patsy's eyes the reader watches wartime events unfold that lead to the violence and chaos of post war Palestine, a violence that continues to this day. The lead characters of the other two novels in the trilogy, Maftur and Dalia, play a prominent part in this novel .